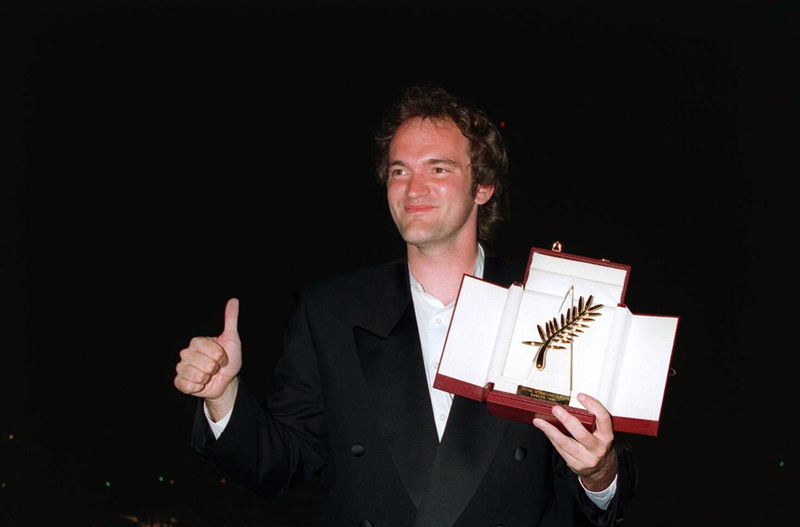 Quentin Tarantino interviewed by Michel Ciment and Hubert Niogret for Positif magazine at Cannes festival, 23 May 1994. Positif: The scenario of Pulp Fiction owes its origins to some stories by Roger Avary and you. What was involved? Quentin Tarantino: The idea for Pulp Fiction was born even before I began writing Reservoir Dogs. I was trying to imagine how to make a film without money, so I thought of a short I’d be able to show at festivals that could be a kind of calling card. I’d be able to demonstrate what I was capa­ble of, which would allow me to shoot a feature-length film. So I thought of the story of Vincent Vega and Marsellus’s wife. Then I realized, why not write a second short crime story, and then a third, and then shoot them one after another when I got enough money together, and then put them together? That’s pretty much what Jim Jarmusch did with Stranger Than Paradise, showing one part at one festival, then getting the financial backing to do the second, etc. So I phoned my friend Roger Avary to ask him to write the second story, but with the condition that it had to be the most classic story possible; and from there he could take us to the moon! And that’s what he wrote: the one about the boxer who gets knocked out in the ring. The third story was going to be the one of Reservoir Dogs. But then our enthusiasm kind of died down, that project never got done, and I used the story of Dogs for my feature-length film. Later we came back to the project, but abandoned the idea of an anthol­ogy. What I really wanted was to make a novel on the screen, with characters who enter and exit, who have their own story but who can appear anywhere. I could get to do what a contemporary writer does: introduce into his book a secondary character who appeared in an earlier book, something like the Glass family that Salinger imagined, and whose members you find move from one novel to the next. This is a register filmmakers simply don’t work in: in Hollywood, when you make a film for, let’s say, Paramount, you sell them the rights to the story. If you make the next one for Warners, you can’t use the same char­acters because they were created for another company. With Pulp Fiction, I wanted in some sense to make three films for the price of one! I liked that each character of Pulp Fiction could carry a film as the main hero. If I’d made a film, for example, about Butch and Fabienne and only about them, the character played by John Travolta probably wouldn’t have had a name. He’d have been called “Bad Guy No. i.” But as Pulp Fiction is conceived, he is Vincent Vega. We know his personality, we have an idea of his way of life, he’s not simply a minor character. So then when they shoot him, the spectator feels something. Positif: So, when going to write Pulp Fiction, the feature, you already had two stories, Vincent Vega’s and the boxer’s? Quentin Tarantino: Right, and I didn’t know what the third story would be until I was half way through the scenario. While rewriting the story of the boxer, I said to myself: “Why not end the morning with Jules and Vincent instead of having them separate after the shooting?” Their characters seemed to me to have rounded out a lot and I felt that with them I had my third story. So I followed them instead of leaving them there. I also knew that at the end I would reintroduce Pumpkin and Honey Bunny to wrap up the story. I had created a universe of a certain dimension, into which I was going to integrate the story of the boxer which Roger Avary had written. There are a bunch of ideas that belong to him: the hillbillies, the pawn­broker. He had invented the watch, for example, but I had to make up the history of this watch. I also made Fabienne into a French woman. These pieces of the puzzle came together during the writing of the scenario, but during the editing, we continued moving the pieces around. When I start writing, I know more or less where I’m going. It’s not like I have a map, but instead as if I were following tips that a friend had given me for my itinerary and that I had noted down. You go by McDonald’s, and then you drive for a few miles and then you see a big tree. Then you know you’re going in the right direction. Then you get to a mountain with a sculpture carved in the rock, so you have to turn left. You go over several hills, and finally you reach a very long stone bridge. This analogy is a pretty good indication of how I work: with a series of markers. I set out on a trip in my car, and my characters never stop telling stories, and moving the scenario along, while I keep glancing out the win­dow to pay attention to the route markers. The strange thing is that, working in the organic way I do, knowing my story as I do, I still discover it as I write it. I could never write the sequences separately and then dis­tribute them through my scenario. I need to clear a path through the material, each episode leading to the next. I overlap things, make connec­tions, bring things together in a process which I experience simultaneously as emotional and intellectual. Positif: Your dialogue has a very particular vitality and rhythm which one associates with comic actors like the Marx Brothers, W. C. Fields or Woody Allen, who would try them out in nightclubs. How did you go about gauging their impact? Quentin Tarantino: I know they’re going to work by measuring their impact on me, on their ability to make me laugh! If I think they’re funny, I think others will have the same reaction. But giving them to an actor is a good test. You can write a line of dialogue you think is side-splitting, but acted it won’t work at all. But in general I’m my own guide. If I read my script to someone else, I can immediately tell what’s not working. It’s pretty much the same thing with directing. I don’t believe at all in test screenings or sneak previews where you hand out questionnaires to the viewers to get their reactions. Although I like to show my films to the public, we didn’t do any research of this kind, on certain ages or groups, for Reservoir Dogs and Pulp Fiction. I had it put in my contract that there would be no marketing studies. Any director will tell you that you don’t need questionnaires to find out what spectators are feeling. When you see your film for the first time surrounded by all these unknown viewers, you know immediately all you need to know: if it’s funny or not, if it’s too slow or too fast, if it’s moving or not, if you’ve lost your viewers and if you’ll find them again. I don’t give a damn about the specific problems such and such a viewer will have with a particular scene or character. I don’t care what they think as individuals, what interests me is how they react as an audience. At that moment, there is no critic who could be more severe than myself towards my work. Positif: The story of the watch as told by Christopher Walken gets its partic­ular force from being filmed in a single take. Was that your conception when you were writing the scene? Quentin Tarantino: A single shot, that was my first idea, but it was too intellectual, too theoretical, so I changed my intentions when writing, and when I was on the set. When I wrote it, given the length of the monologue, I rethought it as a series of shots. When I was shooting this scene, I wanted the flexibility of being able to choose among several shots of Chris, who is such an amazing actor. I also added several shots of the little boy which I liked, because he looks a bit like Chris. I also have a close-up of the watch. So in fact there were several cuts, though you get the feeling in memory that it is a single shot. I chose from among these shots according to the three stages of the story: the great grandfather’s, the grandfather’s and the father’s. And for each section there was a different connotation which corresponded to the various interpretations offered by Christopher Walken. For the great grandfather, I chose a lighthearted interpretation. For the grandfather, when he’s talking about himself on Wake Island, I made a sea-green, sort of hard tonality. For the third section, the beginning was more matter-of-fact and informative. I think that gives a very strange rhythm to the monologue. Positif: While you were creating the characters did you think about the actors who would play them? Quentin Tarantino: In some cases, yes, but not always. I wrote the part of Jules for Samuel Jackson, and of course Honey Bunny and Pumpkin for Amanda Plummer and Tim Roth, who is one of my best friends. They are friends in real life, and when I ran into them one night at a party I was struck with a director’s intuition: their size, their look, their energy, everything about them made me want to use them together in my film. I’ve also always been a fan of Sam’s. I knew he gave off an incredible feeling of power and that, if given the possibility, he could express this Richard III side of him­self that he has in the film. There are not a lot of actors who can dominate a scene, move people around the room like pawns in a chess game without even standing up, just sitting there. And that’s what Sam does in Pulp Fic­tion. Positif: Where did you get the idea of having him quote the book of Ezekiel? Quentin Tarantino: This quote had a funny origin. I heard it for the first time in a kung-fu film, The Bodyguard, where it appeared in the prologue. Then I located it in the Bible in a slightly different version. I’d also seen a Japanese ninja series on TV called Shadow Warriors which is the best cartoon I’ve seen on the screen. The action takes place in ancient Japan, between the good guys who want to open the country to Western influence and the bad guys who are isolationists. There’s this group of ninjas who answer to no one and who, during the day, are complete imbiciles working as waiters in a restau­rant, but at night, they are fearsome warriors. At the end of each episode, there was a mortal combat where the chief of the Shadow Warriors, before killing his adversary, would make an inter­minable speech about the necessity for exterminating evil. The guy who had to listen to this speech was sure to die in the end! My friends and I were always fascinated by these endings, which we found cool and poetic. It was in this spirit that I put the quotation from Ezekiel in Jules’ mouth. When I was writing the scenario, I realized that in the final scene in the coffee shop, Jules couldn’t say this religious epiphany in the same way as he’s said it before. After using it for ten years, for the first time he realizes what it really means. And that’s the end of the film. Positif: Did you always see John Travolta in the role of Vincent Vega? Quentin Tarantino: I’d written this very specific character without thinking of any partic­ular actor. When I was wrapping up the scenario, I wanted to meet John Travolta simply for the pleasure of it and because I knew that some day I’d like to work with him, without thinking of any film in particular. While talking with him, I discovered his personality. I thought he could take the character of Vincent in an exciting direction. He has character traits that coincide with Vincent’s analytical side, when he talks about foot massages. John always wants to get the root of the matter, to investigate things. But when you sign on someone like John Travolta, you have to realize that the film is not going to be the same as the one you wrote. What’s funny is that the dance scene was written before I thought of John! If I’d thought of this sequence after having chosen him, it wouldn’t have been as good an idea, or as powerful. As for Bruce Willis, for me he’s the only star of today who evokes the actors of the ’50s, guys like Aldo Ray, Ralph Meeker, Cameron Mitchell, Brian Keith, and to some extent Robert Mitchum, all the tough guys of that era. He’s made of the same stuff. I told him that and he liked it, he understood the register he was going to act in. Then I showed him Night­fall by Jacques Tourneur, with Aldo Ray and Brian Keith! That was the link that allowed him to really get into his character. Positif: The tonality of Pulp Fiction is a bit that of mystery novels as illus­trated by Rauschenberg or Roy Lichtenstein! Quentin Tarantino: I see what you mean! The tone is close to the novels of Elmore Leonard, especially the first and third stories where the humor comes from putting characters from crime novels into situations that are taken from daily life. I’m thinking of a novel like Miami Blues by Charles Willeford. The best scene from that book was cut from the (1990) movie adapta­tion. A guy enters a pawn shop by disabling the alarm system. He grabs the money and jewels and is standing there with his hands on the counter when this huge woman who owns the store appears brandishing a machete and cuts off his fingers. He kills her, runs out in the street, and then realizes that he has to go back to get his fingers which will reveal his identity. But it’s too late, the door has locked behind him! You couldn’t imagine anything more brilliant from the point of view of writing. It’s a criminal situation which suddenly becomes crazy and operatic, but the very absurdity of the event brings it back to reality. That’s a bit the spirit in which I worked, this back-and-forth between day-to-day problems and unexpected dissonances like the appearance of Harvey Keitel in a role a la James Bond. Positif: We mentioned some pop-art artists. Did they influence you, in par­ticular the dance hall at Jackrabbit Slim’s? Quentin Tarantino: I love visual pop art and that’s why I love the big screen, which does it justice. My idea of color is that you make a color film which is really in colors, where the red is red, blue blue and black black. Primary colors. But I don’t like flat lighting. For my two films my head cameraman, Andrzej Sekula, and I used 50 AMC film which has the slowest emulsion there is. It requires a huge amount of light, but it’s not the least bit grainy and the image is as clear as crystal. I’m happiest with the results in Pulp Fiction. The colors are so bright they jump right out at you! In the dance hall, there’s an explosion of color with all those lyrical posters of ’50s films, the convertibles and the shots of Los Angeles streets on the video monitors. And also the fake Marilyn Monroe and Mamie Van Doren. It was like a huge cinematic effect within the film. This set was built entirely in a warehouse in Culver City. My set designer, David Wasco, oversaw every detail in this scene from the menus to the drinks they served, even the matches. We spent a good part of the film’s budget on this scene. Of course, the danger is to fall so much in love with the set that you get entirely caught up in it rather than paying attention to the relationship between Vincent and Mia. That’s why I initially wanted to follow Vincent’s entrance with a travelling shot so he could discover the restaurant at the same time we did; then he sits down and talks with Mia for twenty min­utes. The subject of the film is not Jackrabbit Slim’s but what happens between these two characters. That’s why during their conversation there are no shots of the set. Positif: Reservoir Dogs also begins with a scene in a bar-restaurant. Quentin Tarantino: I thought it would really be cool to begin Pulp Fiction that way as well. 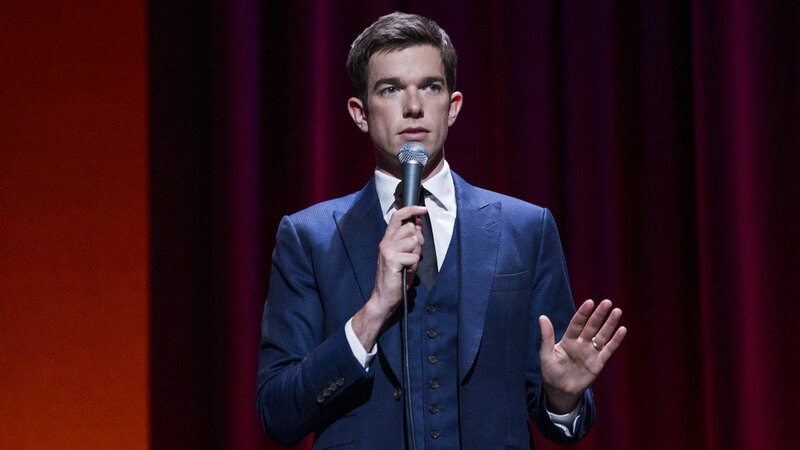 I thought the idea of a robbery in a restaurant would be funny; it was also the ideal place to wrap up the story, with other characters in the film ending up there. There are restaurant scenes in all of my scenarios, and I think every viewer can identify with this kind of scene. I often go to restaurants and just like to sit there and talk with friends. My characters talk a lot, and you open up in this kind of conversation. I like these kind of scenes. If I were to make D’Artagnan’s Daughter or even a prehistoric film, there would definitely be a scene in a restaurant! I also liked developing my own personal mythology by having the first scene in a coffee shop and the second with Jules and Vincent in black suits, like the gangsters in Reservoir Dogs. It’s like wearing armor, when you see them for the first time. They really look sinister and mean, like really bad guys, like the ones in Dogs. Then I spend the rest of the film decon­structing these characters. When you follow them through the rest of their morning, you see their clothes are dirty, bloody, and wrinkled. These tough guys end up looking a little stupid with their T-shirts and their sloppy dressing. They literally decompose right before your eyes. Positif: How do you answer critics who think that your generation, with Tim Burton, the Coen brothers, or even an older person like David Lynch is just mak­ing borrowed, post-modern, self-reflexive art with no connection to reality, just a kind of formalist game? Quentin Tarantino: I’m never bothered that people say I don’t make films “from life” and that I have “nothing to say.” I don’t try to say anything but to create char­acters and to tell stories out of which meaning can appear. What’s more, I think I make films about life since I make films about me, about what interests me. The only artistic training I had was as an actor. An actor has a very dif­ferent aesthetic conception from a director or a writer. He uses what works. Without betraying the truth of my style, my rhythm or voice, when I saw something I liked in Marlon Brando or Michael Caine, I’d use it in my own acting. Actors work like this: they steal from others and make it part of themselves. I don’t consider myself just as a director, but as a movie man who has the whole treasure of the movies to choose from and can take whatever gems I like, twist them around, give them new form, bring things together that have never been matched up before. But that should never become referential to the point of stopping the movement of the film. My first concern is to tell a story that will be dramatically captivating. What counts is that the story works and that viewers will be caught up in my film. Then movie buffs can find additional pleasure in getting whatever allusions there are. But I never try for an exact copy or a precise quote or a specific refer­ence. Carbon copies give me headaches. I like mixing things up: for example that golden watch story begins in the spirit of Body and Soul and then unexpectedly ends up in the climate of Deliverance. What I most enjoy are space-time distortions, jumps from one world to another. You don’t need to know the two films to appreciate the story of the watch, but if you know them it’s even more surprising and fun. Sometimes I have an idea for a film which I carry around in my head for five or six years, without writing the scenario, since the right moment hasn’t hit. But when I sit down to write, everything that’s going on in my personal life finds a place in the film. When I’ve finished a scenario, I’m always astonished by what it reveals about me. It’s as if I were disclosing a bunch of personal secrets, even though people don’t notice, and I don’t really care if they notice or not! Again, if an actor is driving to the theater or to a film set and hits a dog, like Irene Jacob did in Red, well, it’s going to affect the acting, no matter how well the scene has been prepared. What happened is going to show up on stage or on the screen. Anyone able to keep strictly to what had been planned isn’t really creative. At least that’s how I think about my work. Whatever happens to me, even if it’s completely unrelated to the subject I’m doing, will find its way into the scenes I’m shooting, because I want my characters’ hearts to really beat. If you really knew me, you would be surprised by how much my films talk about me.